This quilt was gifted to my son's amazing 2nd grade teacher. I just love our teachers. I personally can't imagine a harder job! We have always been blessed with caring and compassionate teachers, and this year was no exception. They are like second moms and dads to our kids. It's always hard for me to decide on fabric for a teacher quilt. I try to ask the kids "what is their favorite color?" or "is there a style they might like?" This year all I got was "she likes cats." lol Well, I didn't want to make a quilt entirely of cat fabric (sorry! ), but I also remembered someone mentioning that she liked to garden. I thought Kate's fabric was a perfect match. The quilt measures 54" x 72". I think that makes a fantastic lap size. The backing is another print from the Latitude line, Navigate Ocean. 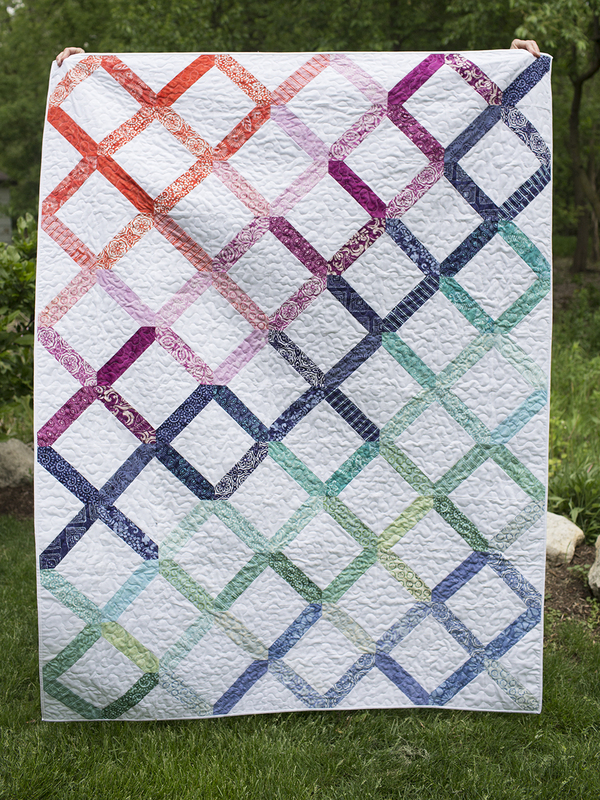 I quilted it in a meandering free motion design using my BERNINA's Stitch Regulator foot (BSR). 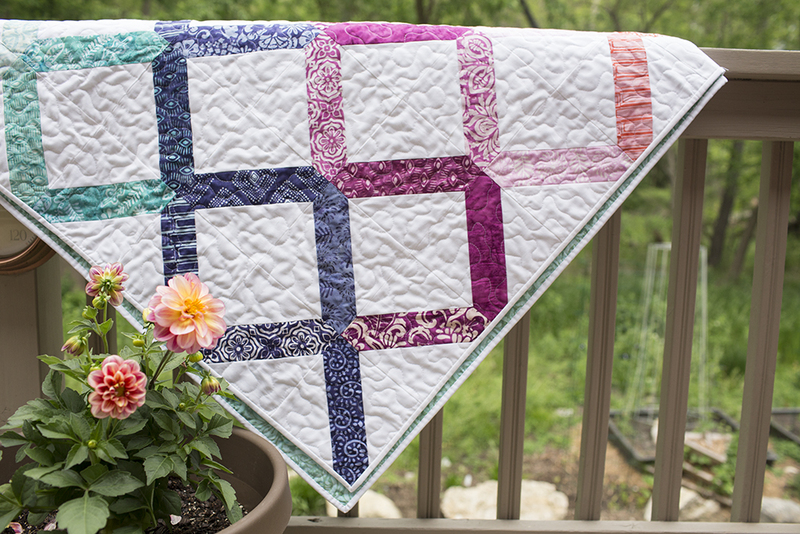 I think the lattice design paired with Kate's beautiful colors make this a perfect Summer quilt!